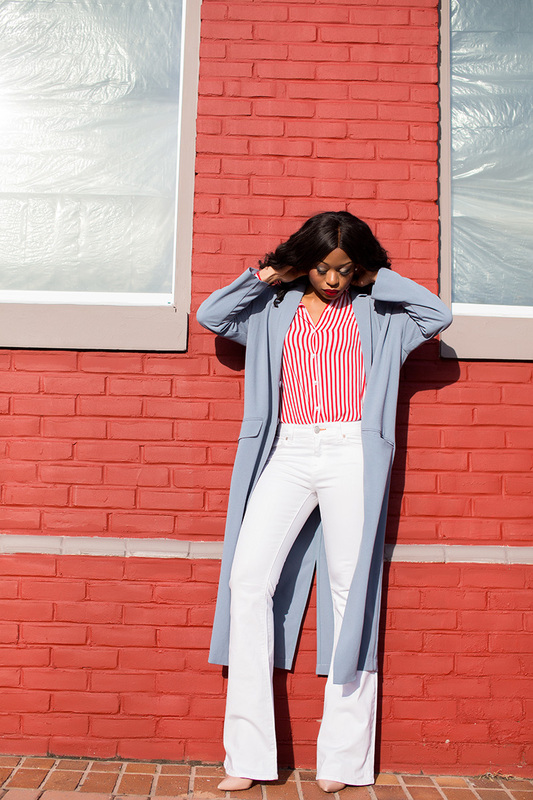 Today's look is a casual approach to a Valentine's Day look. 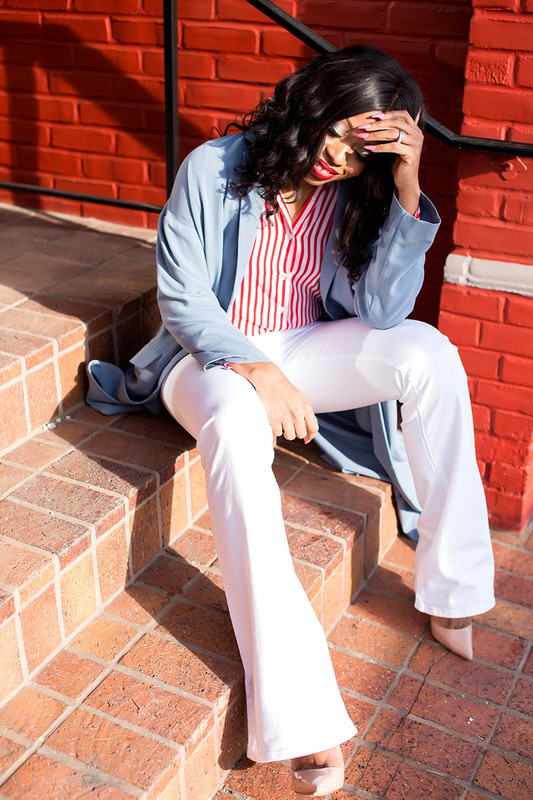 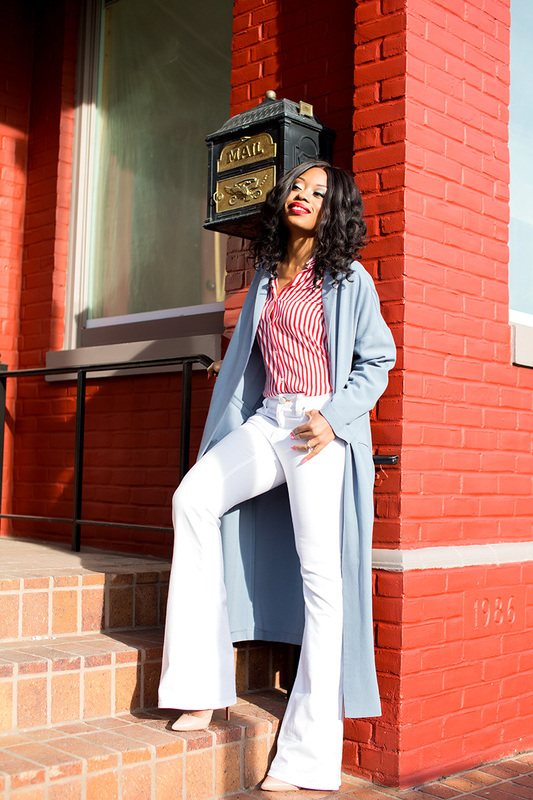 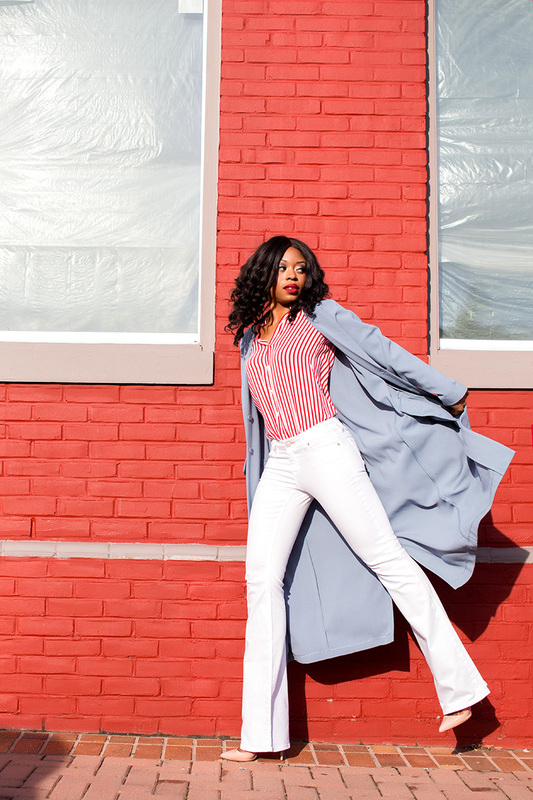 I paired my flare jeans with a stripe red shirt and a duster coat. 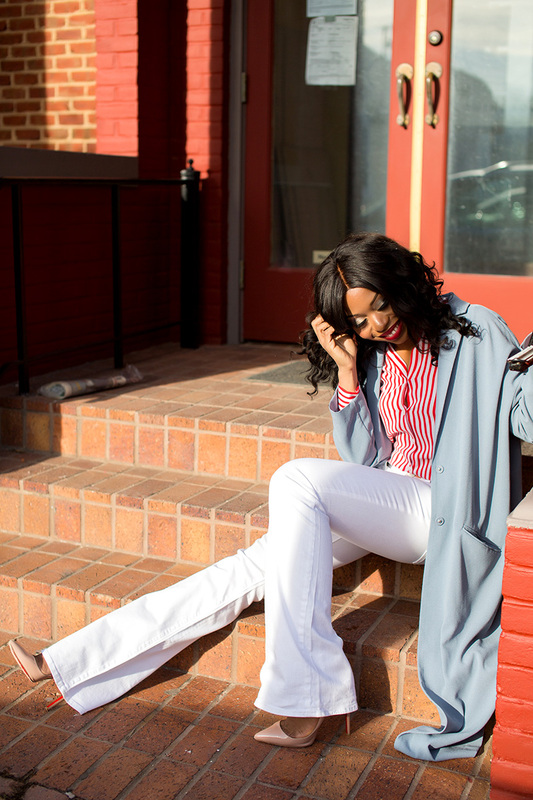 The shirt adds a pop of red to the look in tune with the Valentine's Day spirit and the duster coat complements the red stripes on the shirt and it keeps warm.